Comprehensive and compassionate dental care with ultimate comfort and relaxation in a spa-like environment. Centrally located in Culcheth, our beautiful spa-like office facing the Common can provide you with a comprehensive range of general dental and cosmetic treatments. Bhawani’s Dental Care will make you feel like you’re sitting in a spa, not a dentist’s chair! 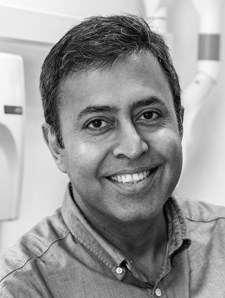 Dr Chatterjee has been in general dental practice since 2000. After qualifying, he worked in hospital for a few years in oral surgery working alongside maxillofacial surgeons gaining experience in surgical dentistry. San was admitted as a Member of the Royal College of Physicians and Surgeons of Glasgow by merit in examination in 2004. He did his vocational, or foundation, training at Cardiff University and since then has been working as an associate dentist in Swansea, Manchester, Preston and Kendal in Cumbria. San completed a cosmetic dentistry course with Dr Chris Orr in London, implant training courses with Prof Cemal Ucer and is an accredited provider of Invisalign with many successful cases. He undertook facial aesthetic training with Bob Khanna and uses Azzalure and Restylane regularly for facial enhancement treatments. He has done courses on bone grafting and bone regeneration, using conventional methods in Milan and Venice, and using plasma rich protein or concentrated growth factors in beautiful Lugano in Switzerland. San’s key area of interest is replacing missing teeth with dental implants and regenerating new bone. He uses Straumann, which is a premier Swiss implant system and Sweden & Martina which is a successful Italian implant system. When he is not working, San is a keen tennis player and has interests in food, culture, movies and documentaries. Kelly has been in the beauty business for over 6 years. 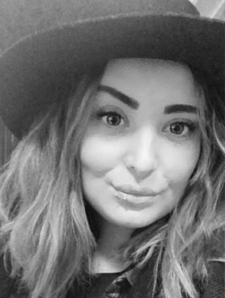 After qualifying from West Lancashire College and studying interior design at UCLAN she worked in a quiet salon in Standish before moving onto a bigger salon in Crossby. She has extensive experience with all kinds of beauty treatments, and especially with intricate treatments like waxing, semi-permanent lashes and luxury treatments including mask treatments. Kelly is not just qualified but highly talented, creative, artistic and extremely passionate about beauty in general. She had a career break due to having a child but now she wants to have her own business and this is why she has decided to join Bhawani's as a beauty therapist. She is now pursuing hairdressing and is learning how to offer Microblading and Semi-permanent makeup services. I have been a qualified dental nurse for just over 3 years working within the NHS. I joined Bhawani's Dental Care in May 2017 as I have a passion for cosmetic and implant dentistry. I am very motivated and love working with people. I love seeing patients overjoyed with the work we do and able to smile confidently again. I have lived in the Warrington area all my life and when I'm not working I enjoy spending quality time with my family, friends and my two dogs, Bella and Elmo, who I adore.